We aim to help match, chat, flirt, date, meet like-minded people in an Augmented way. 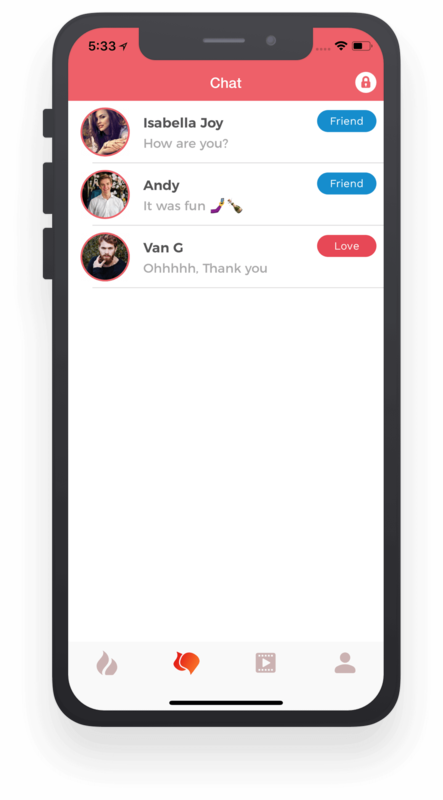 Prompt is the new way of dating-Drag profiles and drops into Love Zone, Friend Zone OR Not sure zone. 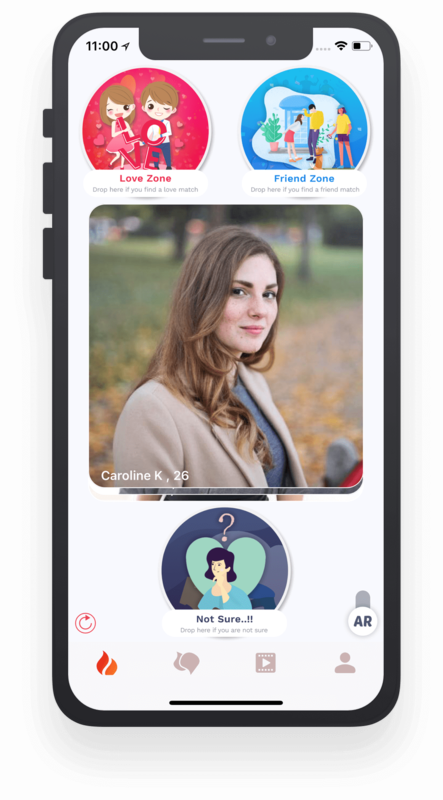 Prompt is augmenting your dating experience with Augmented Reality along with password protected chat & Video social network. We recognize that there’s more to dating than just hook-ups, flirting and making new friends. 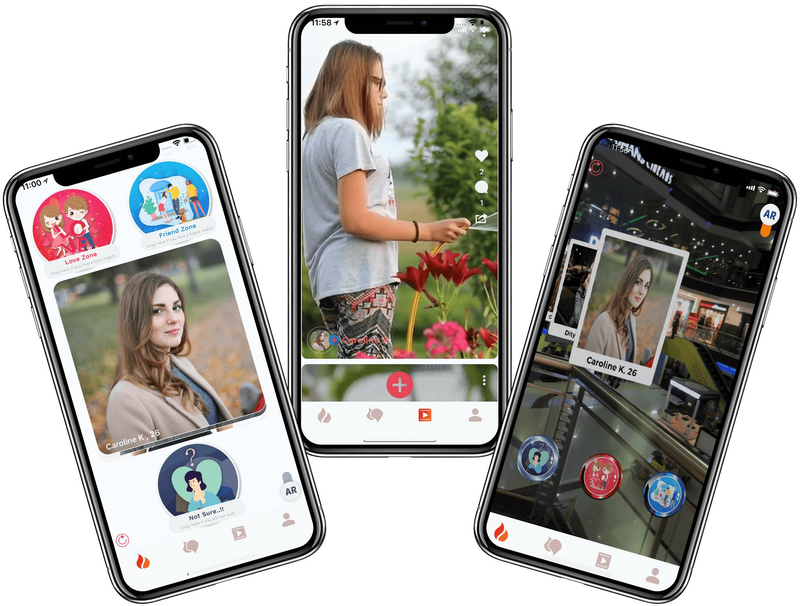 Prompt - AR Dating & Video app gives you the means to spark great conversations and make meaningful connections in the real world. 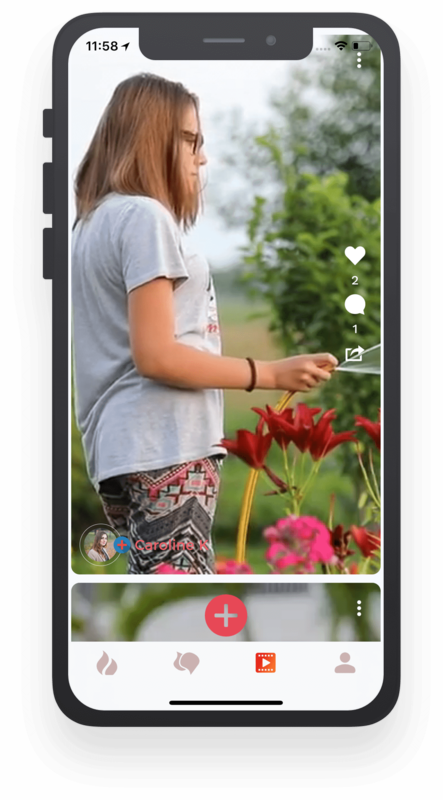 Have you ever imagine a dating app that is not having boring just Swiping & Liking functionality, allows you to hide your conversation by setting up password, giving you an amazing augmented way to view your Love & Friend match profiles in Augmented Reality, along with the dating & chatting also allows you to sharing fun or memorable moments and activities videos on the platform & showing you videos from like-minded people, friends & followers! Oh, worry not! 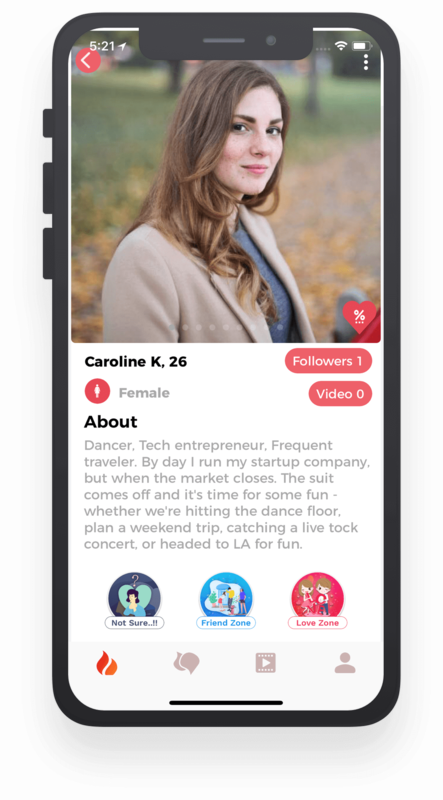 Prompt Dating App actually exists and if you’re tired of swiping left and right, check out Prompt - The AR Dating & Video App that is better than any other dating apps because Prompt gives you one of the best way of fun dating. 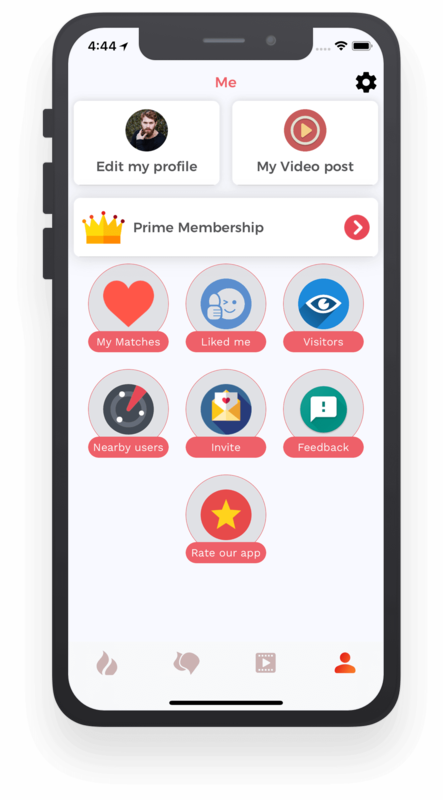 From the list of like-minded nearby users profiles, you can drag & drop your prefer match profiles into Love zone, Friend zone OR Note sure zone based on the criteria you have set (gender, age, distance, chemistry & other). If the same person drops your profile in the same zone you have drop his/her profile, then you are Love/Friend match, then the real part begins that everyone joined dating platform for chat, date, and meet. 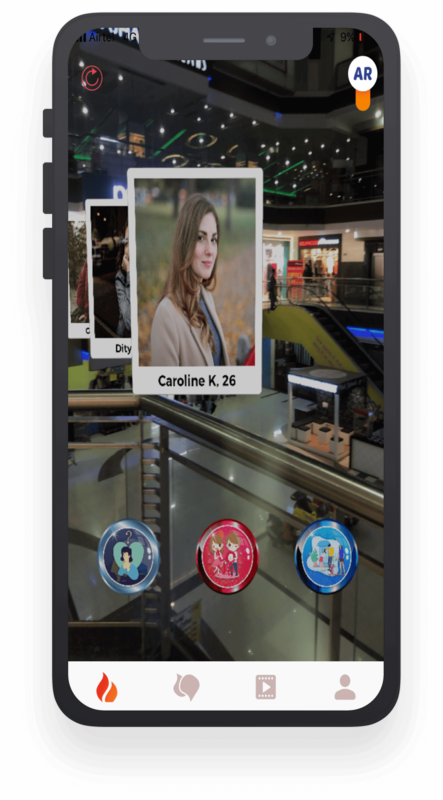 Switch the AR button ON and you will have an amazing augmented way to view your prefer Love & Friend match profiles in Augmented Reality. Throw the Love zone, Friend zone OR Note sure button on the user’s profile and that user will be added to your respective zone. For AR Dating experience please use iOS App, We are working on Android to give you AR experience in Android as well. 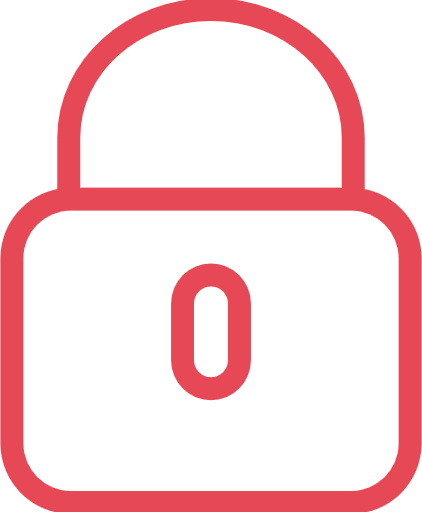 Nothing’s worth risking your privacy, which is why we ensure that you’re always in your own control. As chatting/messages on dating app is a personal thing for any Single & for those who are in relationship. 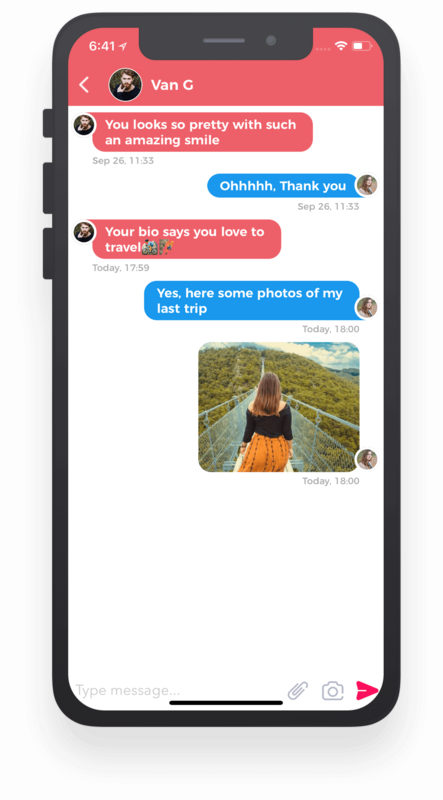 Prompt Dating App have the option to make your chat Password protected by just one click. 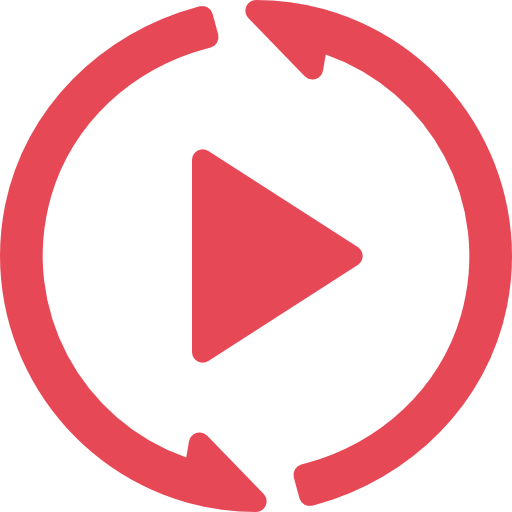 Prompt is allowing users to share videos on their Video Social Feed. 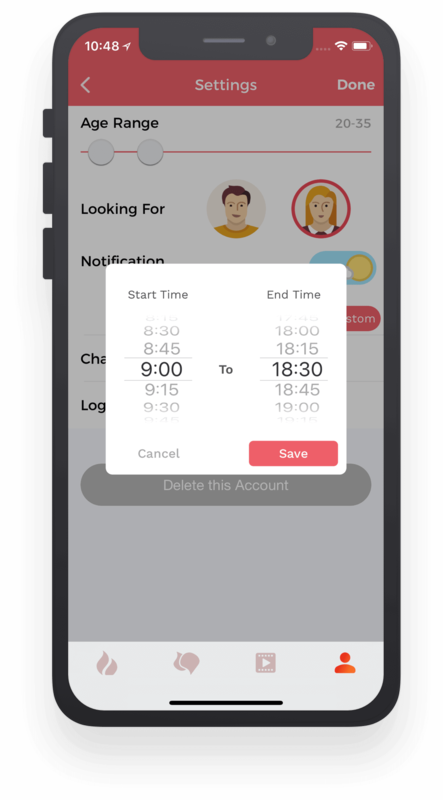 In fact, Prompt will not prompt people to take a front-facing video at all, It also allows those pre-recorded or previously shared to Facebook or Instagram as well. 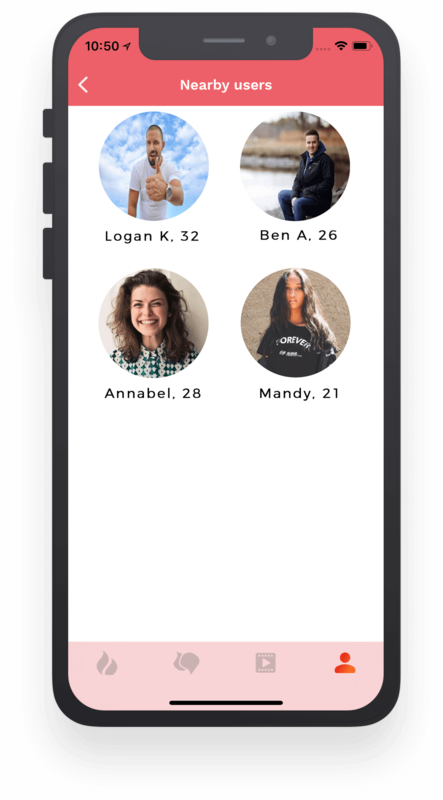 Prompt believes support for videos in Dating App will allow members to better show who they really are, by sharing fun or memorable moments and activities from their lives. 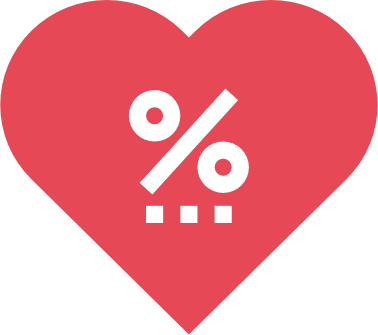 This continues the dating service’s larger mission of helping users to find perfect match. 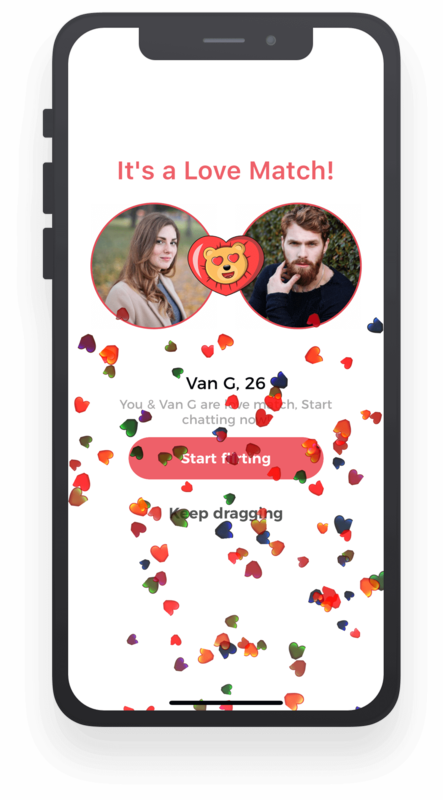 Prompt is having best ever matchmaking algorithm that will lead you to more matches in a short period of time than any other dating app you have ever seen. If you both add each other into Love zone then it will be Love match and if you add someone into Love zone and the same person add you to Friend zone and vice versa then it will be friend match. 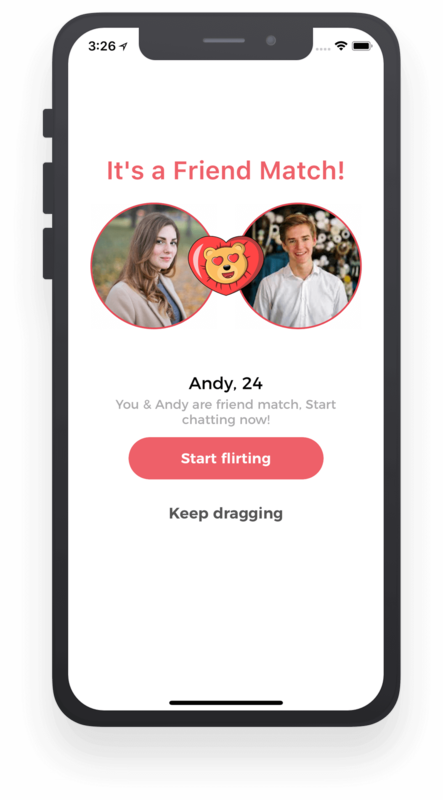 In this case, Prompt Dating App will give you a chance to chat with your friend match and convert your friend match into a love match. 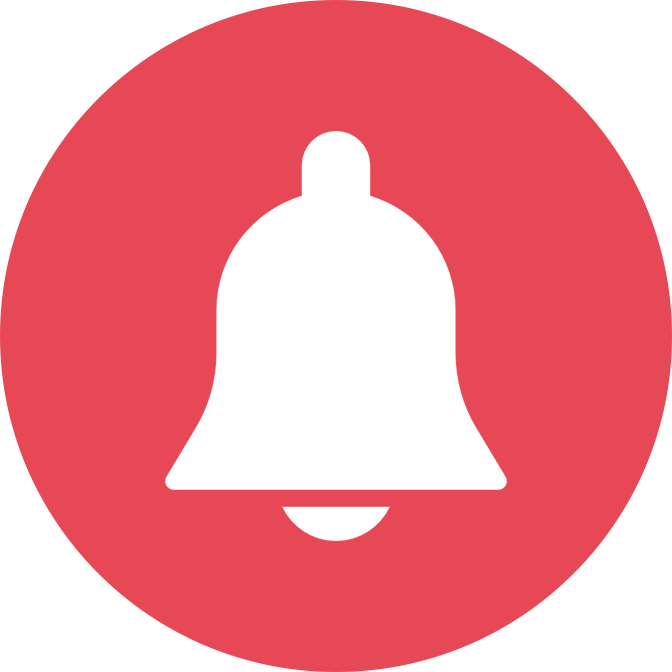 We value your privacy, that’s why prompt will not disturb you by sending useless notifications. You can chose your own time to get notification from the Prompt. You can also turn off the notification if you don’t want any, but in this case you can miss something important. So the best way is you can chose your own time to get notification from Prompt. Before adding your prefer match profile into Love Zone, Friend Zone OR Not sure Zone you can check your compatibility/chemistry with that particular users. For that you just need to answer some basic questions about you, then open user profile and by just a one touch on chemistry test you will have result of how much you both are like-minded. We can’t really use any app all the time, so there is a chance to miss anything important when you are not using the app. You might miss your prefer Love/Friend match nearby. That’s not gonna happen on Prompt Dating App because you will get a notification when your prefer match is in 5Km radius. You can instantly add them to Love/Friend zone. And much more other functionality that every Dating App user loves and that will give you an amazing dating experience. You can also have access to your profile visitors and to those who have liked you and you can have instant chat with them. Help us with your suggestions! For every organization, their user's reviews matter the most. 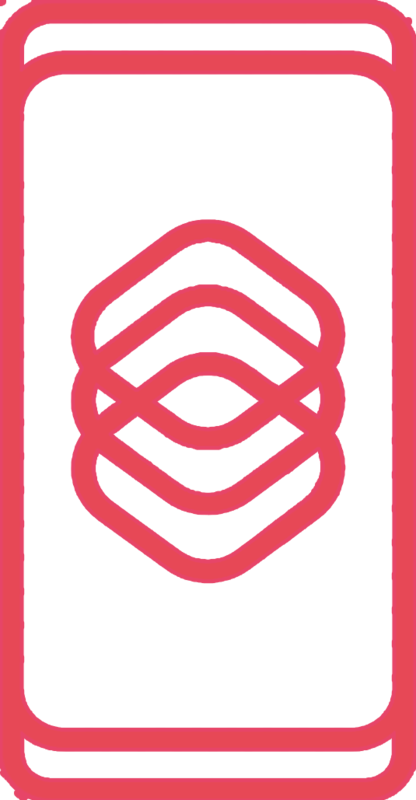 We thrive to provide the best dating experience to our users. Help us with your feedback & suggestions if you like us to improve anything, Your suggestions will be gloriously appreciated and will be implemented as soon as possible.